Sometimes life can take a turn you don’t expect. No, not that. We all knew Candy was not going to be around much longer. No, not that either. Graduation is pretty much standard for perfect children. Most Likely to be Electrocuted. Some friends they are. No, let’s just get down to business and it will be clear soon enough. Mandarin Fruit, Heiress to a pretty nice little fortune for the 2nd generation. So your dad dies, then your mom dies, and all the sudden you are alone and just graduated from high school. What do you do? You call up your best friend and cry on his shoulder. But sometimes things get out of hand and you end up in an igloo making woohoo. With your best friend. Who is engaged to someone else. Moving along, trying to get past their indiscretion, Mandy heads up to the military base and enlists. She gets a day or two off to settle her things before reporting and decides to spend it jogging and brushing up on her handiness at the library. She realizes what has happened, wouldn’t you believe her luck, and knows she needs to let Moses know. Finally she tells him the news and he seems pretty excited about it. Afterwards she stops by the grocery store and runs into Lori, “the fiancee”. Well, it looks like Moses forgot to tell her that he has another baby on the way. Mandy and Lori chit and chat and each wonder what the other knows. They get along great and actually spend a lot of time comparing notes on their pregnancy – Lori is just a little further along than Mandy and is due any minute. In fact Lori decides she really needs to go home and Mandy offers to help her get there. 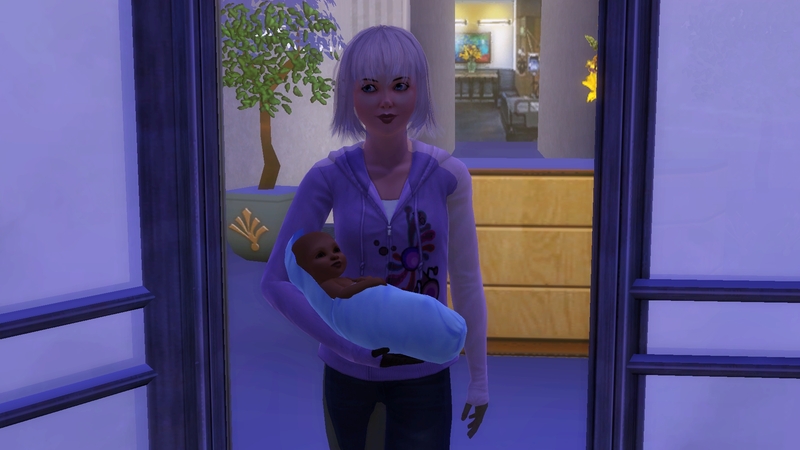 That was probably a mistake because she has the baby with Mandy’s help and then tempers flair and they start arguing. Moses is waiting for Mandy when she gets home. He is in the mood for some training and then some “exercise”. Well he gets one but not the other because it is time for Mandy to have her baby. Moses went with Mandy to the hospital but then he learned Lori had her baby so he went home afterwards leaving Mandy to get home by herself. Sometimes life can take a turn you don’t expect. Little Miss Proper is a single mother of twins, having an affair with a married man, who just had one child and already has another on the way. Yeah story progression is making sure these two don’t get married. Almost like it knows she is supposed to be a single parent.